The Carpenter Endless Passion series of rods are often a bit longer for better casts yet can still handle a decent lure weight as well as working poppers. Introducing the KLL version in the EP 82/42R-P1 PE8-10 for the ultimate rod! 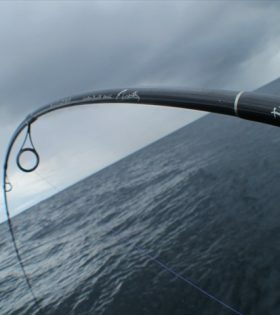 The Monster Hunter range of rods is a new generation of heavy GT rods from Carpenter and first released to the market in 2010. Wanna catch a fish’s attention? 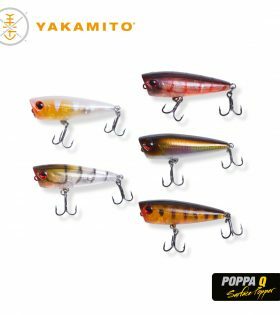 The Poppa Q is a small surface popper designed to destract a fish and turn it into an eating machine. Combining a “Bloop” sound with a small splash of water, the poppa-Q immatates surface insects which bream, trevally, flathead, bass, perch, trout will feed on. Please call or come in store for further details! GT’s are undoubtedly one of the toughest assailants swimming around the edges of the reef. They are brutal and require tough lure to stand up to the challenge. The Slalom is a Full Through wire stickbait made from timber. 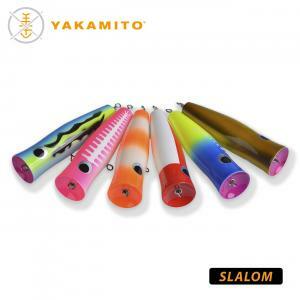 Able to withstand multiple strikes, the Slalom is one lure you’ll want in your arsenal the next time your heading to the reef.